Some good ways to spend the end of February! On Wednesday (2/23) Roanoke local band Savannah Shoulders is set to perform acoustically on WSLS 10 at 12pm in promotion of their debut full-length “Another Light”. 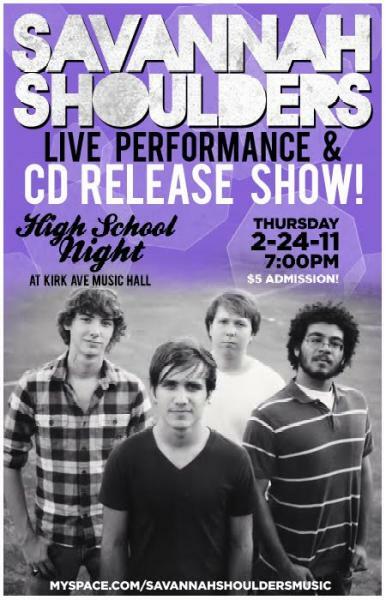 The following night the band will be performing at Kirk Avenue Music Hall in support of their album as a part of the High School Night performance series. This show is set to start at 7pm and costs $5. 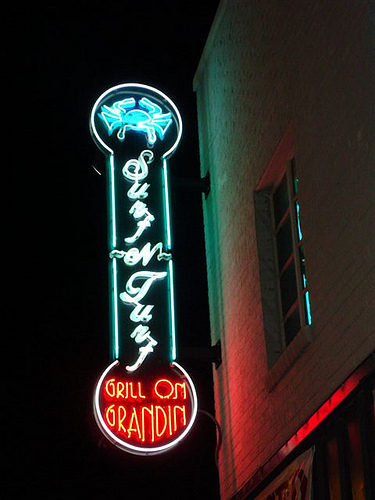 This Thursday (2/24) the Surf N Turf Grill on Grandin Rd. will be hosting its second poetry slam. The rules will apparently be the same as they were before. Best out of three rounds of turns wins $20. Head on down to the Grandin Village on Thursday at 9pm to check out and try your hand at the poetry slam. On Friday (2/25) the Bazaar on Brandon Rd. will host the Watershed Conspiracy with the Riverbank Ramblers. With both bands hailing from Roanoke this will be an all local all roots revival show. The two bands tend to take old time music and put a punk feel to it making it a bit modern with respect to the traditional. Come on down to the Bazaar and check out these two great groups! Starts at 9pm and will cost you $3 at the door. 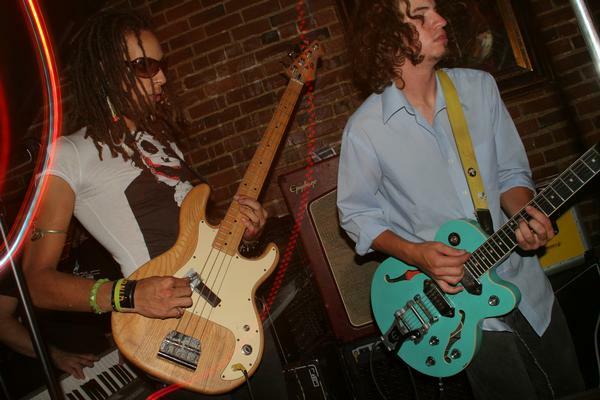 Also on Friday (2/25) Roanoke locals Nancy & 2 Meteors headline a ska show at JELP Studio. Playing on the bill will be Bedford ska-punk band That Band With the Fat Kids and Richmond’s own ska/reggae group Murphy’s Kids. This show will be a good one for those lovers of ska still out there! The show starts at 9pm and serves as the opening of the JELP Art Gallery on Kirk & 1st, downtown. In Blacksburg on Friday (2/25) local favorite Nash Smith & the Ganges celebrate the release of their newest cassette tape! Playing with them will be fellow Blacksburgers Samantha Mulder and DJ May. This show is taking place at Champ’s in downtown Blacksburg at 9pm. 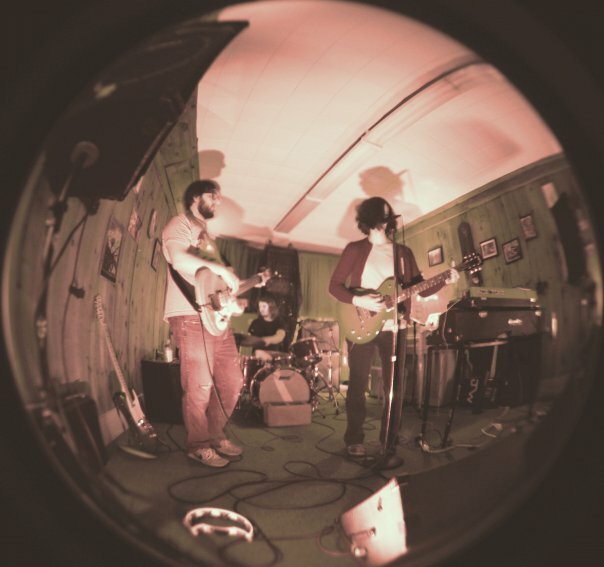 On Saturday (2/26) Lynchburg two-piece the Late Virginia Summers headlines the Bazaar on Brandon Rd. With them will be Charlottesville’s Manorlady along with Boone, NC band Easy Company. Also playing will be Roanoke local turned Boone resident and Personal Records member, Arte Povera. This should be a good show for those who like ambient folk influenced music that’s a bit experimental to boot! This show starts at 9pm and costs $5. On Sunday (2/27) Nancy & 2 Meteors score the classic Fritz Lang film “Metropolis” live at Studio Roanoke. Nancy will be putting a different spin on the film venturing away from the film’s original score. Come out to see this it will be a great time for all! Starts at 8pm, don’t be late! Join us next week as we give you the very busy list of Marginal Arts Festival activities going on around town as well as show, films and events that are happening in the area! Stay tuned!!! HUGE Update/ Things To Come Blog Special!!! Hello all! We’ve got some great news on upcoming events on this blog but first let’s recap a few things that have happened recently…. 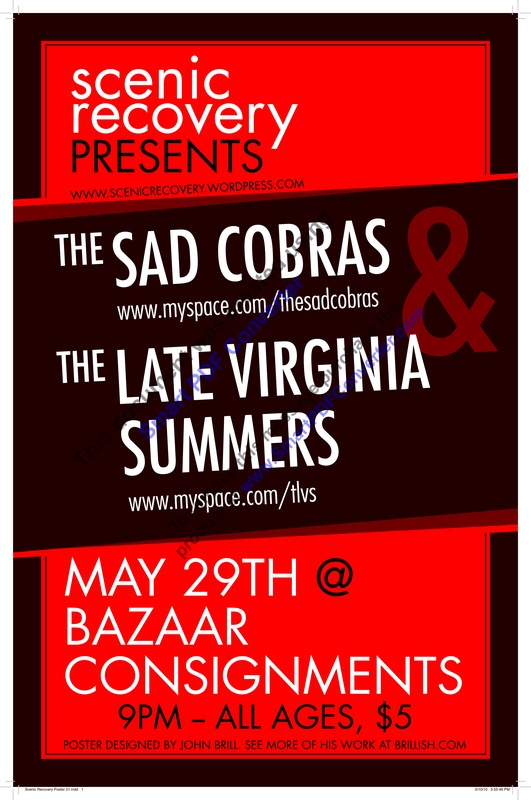 The May 29th show at the Bazaar (presented by your’s truly at SR) with the Sad Cobras & the Late Virginia Summers was killer! The Summers opened with a set that was relaxing and intimate while the Sad Cobras played a great set featuring a lot of new material. 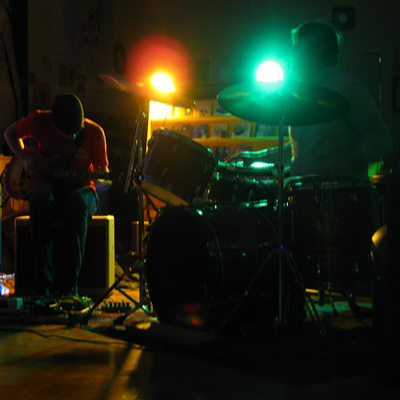 Friend and fellow musician Charlie Johnston filled in playing drums for most of the set and guitar on a tune. If you weren’t there….shame…. Local artist and dancer Beth Deel put on a one night only art performance busking with multiple Roanoke musicians and performers. 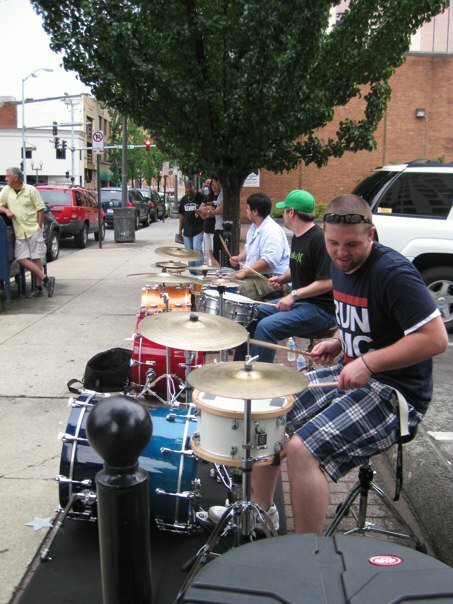 The performers took up street corners and sidewalks in response to the Roanoke council making busking illegal in a city which has become known for its music and art. The evening closed with Roanoke locals Grass Monkey & traveling friends Paleface at Kirk Avenue Music Hall. Check out the NPR story on the event HERE. 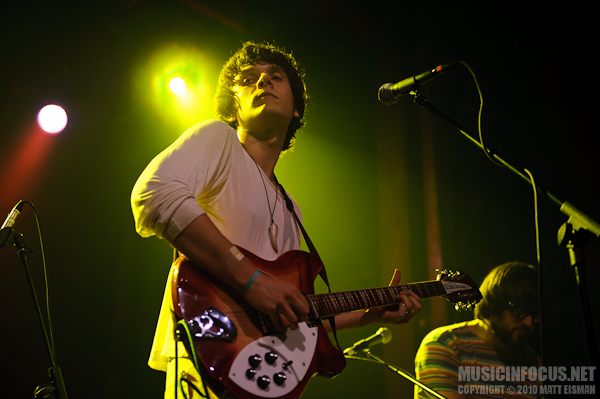 The Young Sinclairs returned safely and successfully after opening for the Brian Jonestown Massacre on the East Coast portion of their U.S. tour. The gang played Boston’s Paradise Rock Club, Manhattan’s Webster Hall, Philadelphia’s Theatre of Living Arts, and Washington D.C.’s 9:30 Club. 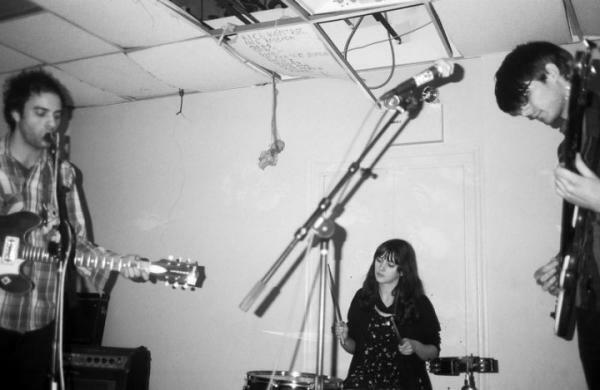 The Sinclairs also had an off date in Brooklyn with Airwaves & Easter Vomit at Death By Audio. 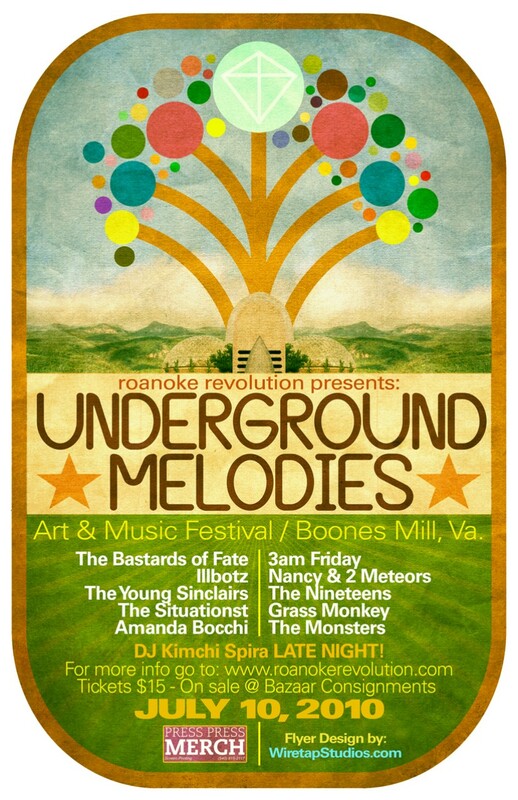 Our friends over at Roanoke Revolution are putting on an all day music festival featuring Roanoke area bands in Boones Mill, VA! 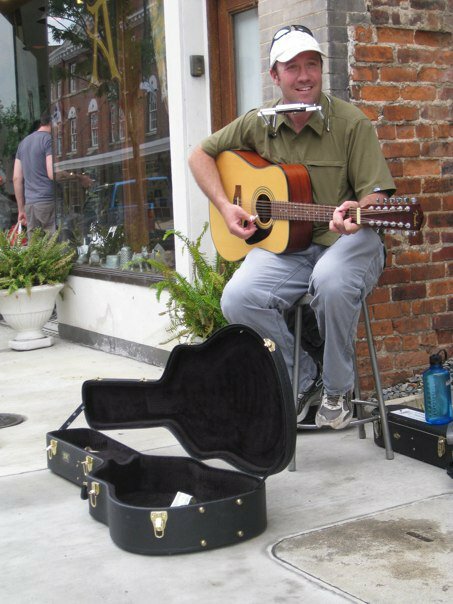 Underground Melodies will feature some of the area’s best talent ranging from bands to artists. Be prepared to have fun! Tickets are on sale now at the Bazaar and are $15 for the whole day. Free camping is included!!!! July 10th, be there or miss out on something awesome! If you have any questions please contact Jovan Rahsman at the Roanoke Revolution website. More info on Underground Melodies as it comes. Roanoke’s own community microcinema the Shadowbox is having two great showings this weekend! The first being Drive Well, Sleep Carefully: On the Road With Deathcab For Cutie. Drive Well will be showing Friday at 8pm. The second showing this weekend is cult comedy classic Spinal Tap which goes to 11…at 7pm on Saturday. This event will include a special prefeature screening of Heavy Metal Parking Lot and an air guitar contest. BRING YOUR OWN CD to rock out with! Until then, stand in front of your full length mirror and practice that air guitar windmill move…slowly… like you mean it. See you there! Finally, this Sunday to round out our weekend of events is Brooklyn band Family Trees! The band will rock out Heidi’s basement after a great potluck! The potluck starts at 6:30pm and the band should go on around 9pm. BRING FOOD! 1515 Roanoke Ave, be there…. its FREE!!! While you’re at it check out the latest mention Family Trees got in Pitchfork HERE. The Late Virginia Summers @ The Good Cherry This Week! The Good Cherry (Forest,VA) @ 7:30 pm Sharp! If you’re thinking of going outside the Roanoke area to get some musical kicks, I highly suggest you check out these guys. TLVS are part of the Harding St. Family, and, by extension, members of the Scenic Recovery fam as well. Savage Knights are an experimental jazz/skronk outfit from Raleigh that occasionally delve into Sonic Youth/Sun-Ra style noise freakouts. A good time to be had, certainly.